When your computer slows down to a crawl and you figure out that it’s because your hard drive is stuffed to the gills, you need to do some house cleaning. 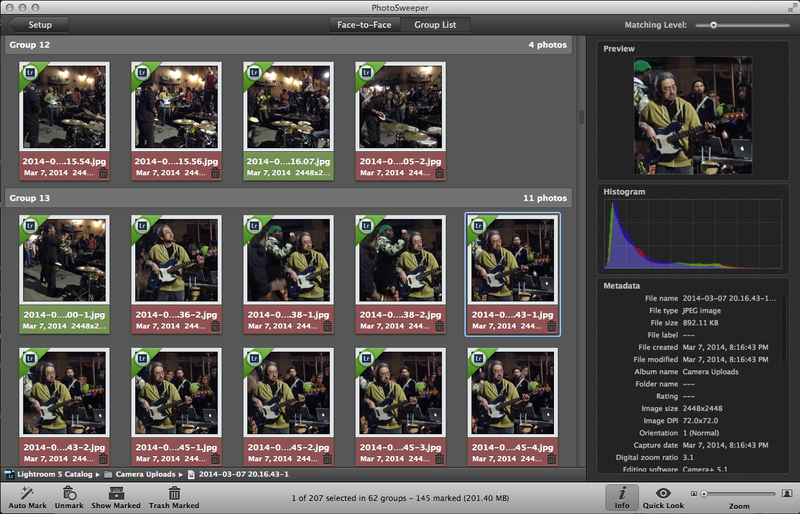 Your photo collection is likely a good place to start, and Overmacs’ newly updated PhotoSweeper can swiftly scrub out space-wasting photo duplicates. It may be easy to identify images with the same file number, even if they are located in different folders, but multiply that by hundreds or thousands of photos, and the task becomes overwhelming. PhotoSweeper delves into your photo libraries and you can get started by searching for exact duplicates. When those are dispatched, you can double back to find a more granular selection of similar but not identical photos. The app gives you comparison methods like Bitmap (for better performance), Histogram (for accuracy), Time Interval, and even combinations of those search criteria. Each choice offers slider controls and/or pulldown menus that help you refine the selection. PhotoSweeper’s single window interface, combined with the media browser, lets you search various photo collections. The new version adds support for DNG files, Adobe’s digital negative format, widely used by Lightroom, Photoshop, and other Adobe apps. Locked photos can be used for comparison, but can’t be marked for removal. A new filter panel lets you search by up to 30 criteria, including location, date, file type, rating, image characteristics, and camera details. Identifying duplicates from discrete photo libraries. What I like about PhotoSweeper is that it works with your photo management tools (or lack of them) on their own terms: If you are removing duplicates from iPhoto, they will go into iPhoto’s trash. For Lightroom, duplicates are placed in a special collection. 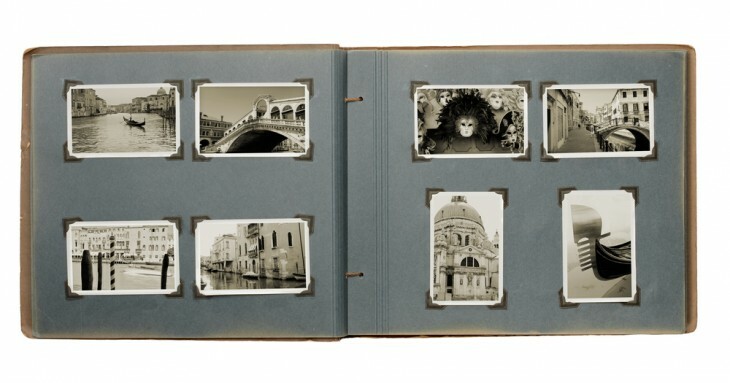 Photos you drag into the interface from your hard drive will go to the system trash. While this might seem to add more administration to the process, it also helps to prevent devastating mistakes. In addition to trashing duplicates or near-duplicates, you can also move or copy duplicates into separate folders to rename or otherwise dispose of as you wish. 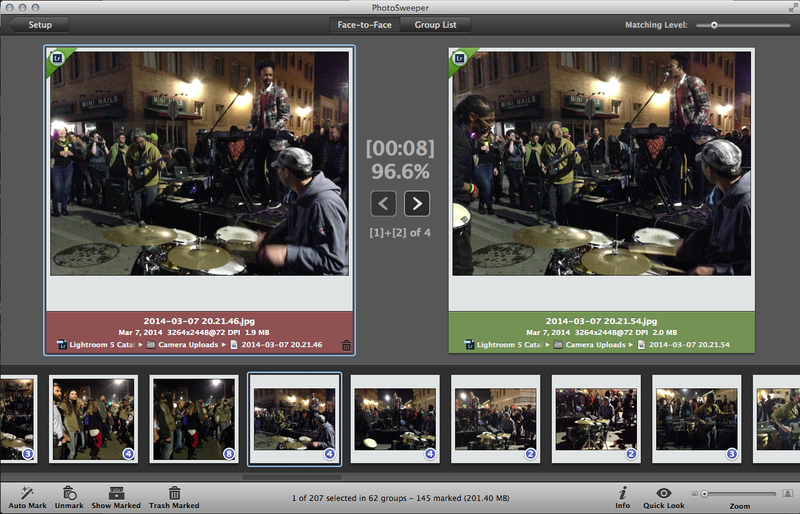 PhotoSweeper will also find duplicate videos in your collection, but only exact copies. One to one comparison of duplicates. I found PhotoSweeper quite speedy—it took about a minute to scan nearly 4,000 pictures. PhotoSweeper comes in two versions: Full ($9.99) and Lite ($2.99). The Lite version allows searching for only identical or very similar photos, and moves those into the trash, without further options. It runs on OS X 10.6.6 or later.